HALBAN A group of architecture students and their professors from the Institute of Design Education and Architectural Studies (IDEAS) in Nagpur (Maharashtra/ India), has visited GUtech’s Department of Urban Planning and Architectural Design (UPAD) recently. 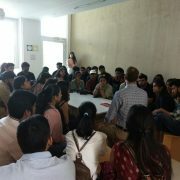 The students and professors exchanged ideas about urban planning and architecture in the region. The group was also introduced to the ongoing work and research projects of the Department of Urban Planning and Architectural Design including the GUtech EcoHaus. HALBAN To connect the university with the industry and to present how to overcome challenges faced in the oil industry with a unique Geosteering IT software, Dr. Vlad Karen Payrazyan gave an ‘Industry Talk’ at the Department of Applied Geosciences of GUtech. 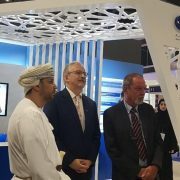 “Through geosteering, many more jobs will be created in the region in future,” said Wilfried Bauer, Head of the Applied Geosciences Department. “A modern Geosteering software makes geosciences related to horizontal drilling faster and more efficient,” said Dr. Vlad Payrazyan, CEO of ROGII, StarSteer Premier Geosteerinig Software, while adding that the software can increase in particular the precision for horizontal drilling which is increasingly applied worldwide. Through multi-well real time geosteering, data integration and cloud collaborative technologies more oil rigs can be monitored at the same time delivering excellent well placement results. Dr. Vlad Payrazyan and his team are currently visiting the GCC; he has been visiting Oman for the first time. Previously Dr. Vlad Payrazyan has been working on various projects in Russia, Venezuela, Brazil and in United States. “The geosciences industry has to adapt to changes and increasing challenges,” said Dr. Vlad Payrazyan. The world is moving from an easy drilling environment to difficult environmental challenges including tight shale resources, horizontal wells, big volumes of data, cost reduction and automatization. In addition, during the planning and drilling phase of the oil well geoscientists face various uncertainties, where a special geosteering software, such as StarSteer can support their work, through the analysis and integration of data from different sources (offset wells, seismic, chemostratigraphy, MWD/LWD, image logs, etc. real time geosteering and other cutting-edge technologies such as machine learning, predictive analytics and cloud virtual collaboration. Dr. Vlad Payrazyan and his team are planning to support GUtech students with a special IT software and to train the students on the application. “I enjoy working with universities around the world while sharing my day to day experiences and challenges faced in the oil and gas industry,” said Dr. Vlad Karen Payrazyan. 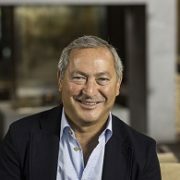 Five years ago together with two other partners he started the company that now employs more than 60 people in 9 international locations with over 200 clients among oil and gas operating and service companies around the world. Dr. Vlad Karen Payrazyan received his PhD in Geosciences at Nancy Polytechnical University and an Executive MBA at INSEAD in France. For over 20 years he has worked for in the oil and gas industry, with Chevron (USA), Yukos (Russia), British Petroleum (UK) etc. He has also served on Management Boards and Board of Directors of major joint venture companies in Russia, Venezuela and Brazil. HALBAN The German Parliamentary State Secretary of the Federal Ministry of Transport and Digital Infrastructure, H.E. 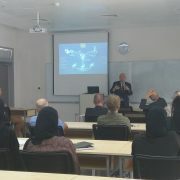 Steffen Bilger, visited the German University of Technology in Oman (GUtech) on Thursday morning. He was accompanied by H.E. Thomas Schneider, Ambassador of the Federal Republic of Germany to the Sultanate and a small delegation including the Private Secretary to the Parliamentary State Secretary, Dr. Joachim Eichhorn as well as Susanne Symalla, Counsellor for Transport and Digital Infrastructure in the GCC at the Embassy of the Federal Republic of Germany in Abu Dhabi. The Parliamentary State Secretary is currently on a two-day visit in Muscat. At GUtech the delegation was welcomed by the Rectorate of the university, Prof. Dr. Ing. Michael Modigell, Dr. Hussain Al Salmi and Dr. Armin Eberlein as well as academic and administrative staff. 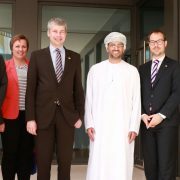 The visit focused on the academic development of GUtech, the first German university on the Arabian Peninsula since its establishment in 2007 as well as on its study-programmes in Logistics and in Computer Sciences. Both fields are related to transport and the digitalization of everyday life. Currently, more than 250 students study logistics at GUtech. The delegation also visited the GUtech EcoHaus, that was introduced to them by Amal Al Balushi, a GUtech alumni of the Department of Urban Planning and Architectural Design. In 2013 the GUtech EcoHaus was awarded for its outstanding design and energy efficiency during a student competition of The Research Council (TRC). The EcoHaus currently serves as a continuous research project for students to collect data related to its architectural design and its environmental efficiency. HALBAN The Vice-President of the German Bundestag (Parliament), H.E. Thomas Oppermann, and his accompanying delegation visited GUtech in the afternoon. The delegation who is currently on a three day visit to Oman included MP Christian Lange, Parliamentary State Secretary, MP Stefan Liebich and MP Katja Suding, all members of the German Bundestag. The delegation was accompanied by the Ambassador of Germany to the Sultanate of Oman, H.E. Thomas F. Schneider, the Frist Counsellor Joachim Düster from the German Embassy and Counsellor Ingo Schendel, interpreter at the German Embassy in Riyadh. The Vice-President and his delegation was welcomed by the Rector of GUtech, Prof. Dr. Ing. Michael Modigell, who introduced the university and spoke about its development within the past eleven years. 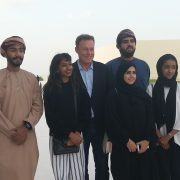 The Vice-President then met with two exchange students from GUtech’s partner-university RWTH Aachen University and Omani and non-Omani members of the GUtech Student Council, who represent the students. “We are the voices of the students. We act as mediators. If there is an academic problem the students can contact us,” said one of the Student Council members. The students spoke about their studies at GUtech and their summer internships abroad or in Oman. Asked about their future dreams, several students expressed their wishes to conduct an internship or pursue their Master’s studies at a university in Germany. “You showed me what a university is about. You are very inspiring young persons. We wish you good luck for your future careers. We will support the university,” the Vice-President of the Bundestag said in his farewell address to the students. Towards the end of the visit the delegation visited the GUtech EcoHaus and the Science Centre, both buildings are located on the GUtech campus. MUSCAT Under the auspices of H.E. Eng. Mohsen bin Mohammed Al Sheikh, Chairman of Muscat Municipality, five Master’s programmes were launched at the Crown Plaza Hotel Convention and Exhibition Centre in Muscat yesterday evening. 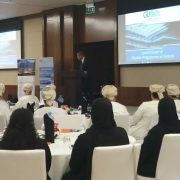 A number of dignitaries and representatives of different industries and ministries in Oman attended the event as well as GUtech alumnis and GUtech employees. “We wish to educate students that are not only experts in their fields but responsible and creative thinkers who will shape the future of Oman and the region,” said Prof. Dr.-Ing. Michael Modigell, Rector of GUtech in his speech. The five Master’s programmes were designed in collaboration with GUtech’s partner-university, RWTH Aachen University. All Master’s programmes have received the approval of the Ministry of Higher Education in Oman. The Master’s programmes include ample practical insights through internships and practical projects, for example at RWTH Aachen University (Germany), the University of Brescia (Italy) or at the University of Vienna (Austria). The new Master of Business Administration (MBA) will offer a double degree from GUtech and the prestigious Vienna University of Economics and Business (WU). The programme was introduced by Prof. Dr. Heba Aziz, Dean of the Faculty of Business and Economics at GUtech. 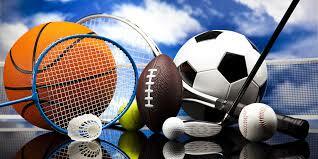 It supports Oman’s national strategy to encourage entrepreneurship, logistics and tourism. “The programme aims at professionals with at least three years of professional experience. We hope to attract many students from the region. 75 per cent of the MBA programme will be taught by academics from the University of Vienna,” said Prof. Heba Aziz. The new MSc in Architecture and Urban Planning is a unique programme in Oman and in the region. “The main challenges for the region are to design quality public spaces and to cope with the rapid urbanization. In our programme we wish to create links between the local culture, the performance of buildings and the urbanity with its social network,” said Dr. Gustavo de Siqueira, Head of the Department of Urban Planning and Architectural Design (UPAD) at GUtech. The MSc programme was developed in close cooperation with RWTH Aachen University. The final thesis can be co-supervised by professors from GUtech along with professors from RWTH Aachen University. “To respond to the growing need for experts in the field of geology, the Department of Applied Geosciences has developed a new Master’s programme, covering hydrogeology, mineral resources and petroleum geology,” said Prof. Wilfried Bauer, Head of the Department of Applied Geosciences. Fieldwork will be an essential part of the programme as well as laboratory work, e.g. for seismic interpretation or mineral analysis. Graduates will be qualified for positions in various fields of Geosciences e.g. in natural resources exploration but also in emerging economic sectors like geotourism or offshore exploration. The programme is open for candidates with internationally accredited bachelor degrees in relevant fields of study. The MSc in Industrial Production and Manufacturing has been designed in cooperation with the University of Brescia (Italy). “A graduate of the programme will be an expert in material extraction, processing, innovative, high automation and sustainable manufacturing,” stressed Prof. Dr. Najah Al Mhanna, Head of the Department of Engineering. The programme will offer six weeks internships conducted in Oman or abroad, e.g. at the University of Brescia and a MSc thesis and colloquium. Students with a background in mechanical engineering, production, industrial, process engineering and Material Sciences will be eligible to apply for the programme. The MSc in Computer Sciences is a four semester programme that has been designed to respond to the increasing digitalization of our everyday lives. Students may also opt for part-time studies and will then need more than four semesters to finish the programme. “The degree programme is open to fresh graduates and to working professionals with bachelor degrees,” said Prof. Dr. Nabil Sahli, Head of the Department of Computer Sciences while adding that IT experts holding a Master’s degree are needed in the region. If the MSc student in Computer Sciences chooses to study an additional semester at the University of Hasselt (Belgium), the student will get a second Master degree in Transportation Sciences from the University of Hasselt. After graduation, there are ample career opportunities for MSc graduates, e.g. in transportation, traffic safety, public transportation etc. 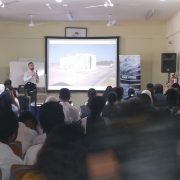 MUSCAT To connect with the international community in Oman, the German University of Technology in Oman (GUtech) has participated in the Career Talks organised at the Indian School Mabeela last weekend. GUtech lecturer Petrit Pasha gave a talk on studying Urban Planning and Architectural Design and Nusaiba Al Sulaimani spoke about Computer Science. “I chose Computer Science because I wanted to solve problems by using time-saving technology,” said Nusaiba Al Sulaimani, who is an alumni of GUtech and has been teaching in the Department of Computer Science at GUtech. “During my studies I conducted an internship at the Ministry of Finance and I travelled abroad for several regional and international competitions,” she said. Nusaiba also attended different courses in Germany. For her studies Nusaiba received a partial scholarship from the German Academic Exchange Service (DAAD). Nusaiba encouraged the students in the audience who were mainly female, to pursue their dream careers. “When you study urban planning you start to understand the urban structure,” said GUtech lecturer Mr Petrit Pasha. At GUtech students learn technical drawing as well as making small architectural models. During their studies students have to conduct internships in Oman or abroad and some students are already involved in real-life architectural projects such as the design of a building for the Omani Women Association in Seeb or a parking area on campus. The students were interested in knowing more about careers in architecture and to see some architectural models created by GUtech students. HALBAN Mohammed Al Balushi, 4th year student in the Department of Urban Planning and Architectural Design (UPAD) at GUtech has won the ‘One Day Design Challenge’ held in Muscat by the Interior Design Company ‘Roca’. The jury was led by the Omani architect Hilal Al Balushi. 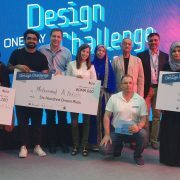 The Design Challenge by Roca is held regularly in more than 10 countries; in Oman the competition was held for the second time. “The idea of this competition is to design a bathroom product with a time “challenge” in only 7 hours! This year’s challenge was to design a product that can be used by patients with bed-bound zero mobility in hospitals or at home. I started the design without any expectations. I finished on time and submitted my proposal to the jury. It was an honour for me as an undergraduate student to win the first prize among 113 participants including architects, interior designers, and product designers! I couldn’t contain myself out of excitement. This was one of the moments I will never forget. I give the credit for this achievement to my university, GUtech, because the education gave me a solid foundation which yields in an obvious way. I also want to thank my mentor Professor Ercan Agirbas (GUtech) for his continuous support. Thank you for believing in me,” said Mohammed Al Balushi. This summer, Mohammed conducted two internships in Europe, including one with the interior design company Roca, based in Barcelona (Spain). “I believe, the most effective way of learning is practice. This summer I had the privilege to travel abroad and to practice what I have learnt at GUtech.” In the interior design company Roca, Mohammed worked with more than ten different nationalities. The training included a workshop on digital architectural photography including post-editing skills by famous photographers like Anna Devis and Daniel Rueda. Mohammed enjoyed being in Spain and experiencing Barcelona as a city. “I fell immediately in love with the city. The city is rich in architecture. Just by walking through the streets and reading building facades I learned a lot. All of that was under and through GUtech, I can say that I am privileged enough to have such an amazing summer,” he said. In Paris (France), Mohammed conducted a second internship, where he worked with Veolia, a leading resource management company. “I had a very intense training experience with Veolia, which is a huge company that works with sustainable energy and waste management. My task was to create an ideal city in terms of energy expenditure. The challenge was to manage all the aspects of city planning by providing an accessible, yet efficient plan. This includes putting all other major aspects of urban planning such as waste and water management. The practical experience made me aware that urban planning can be a very cooperative, participatory process, thanks to my solid background that I gained from studying in GUtech,” said Mohammed.